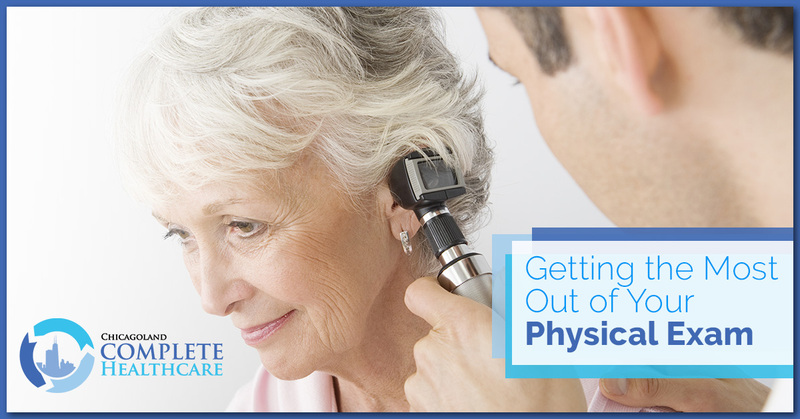 Getting an annual physical is not typically on the top of people’s lists for things they like to do. They can be scary! But you don’t need to be scared. We’re going to give you some tips for how to get the most out of your exam and make it as painless as possible. After all, this exam is purely for your benefit. You may as well maximize your time with the doctor. It can be hard to remember all of the strange symptoms you encounter through your daily life. When you’re busy, often you just let it slide. We recommend jotting down some notes about possible health issues or even just questions you might have when something might pop up. The physician can only help you if they know what’s going on. So whether you have a mole you didn’t notice before or the way you sneeze changed in the last couple months, write it down! Doctors are more than happy to answer any questions you may have, so all you have to do is ask. George Santayana famously said, “Those who cannot remember the past are condemned to repeat it.” That’s especially true when it comes to your health. Many illnesses and disorders are genetic, so having a strong grasp of your family’s health history can help you avoid issues they had in the past. Early detection and preventative treatment can make sure your health is under control for many years to come. An ever-increasing majority of adults are not getting the sleep their body needs to stay healthy. Not only can lack of sleep cause illness, it can work the other way around too. Depression, anxiety, sleep apnea, and even the medications you take may be the cause of restless nights. Keeping a record of your sleep, how restful it was, how many times you woke up in the night, and any other information you can provide will help your physician diagnose and treat you properly. Everyone deserves a good night’s sleep! If possible, bringing a friend or family member can make your exam even more effective. Having a second set of ears to listen to the doctor’s advice can reinforce the information you’re given. Additionally, close friends and family members often notice things about you that you may be unaware of. That can point the physician in the right direction for treatment as well. They can easily be sent out of the room for anything that may be too personal to share. It’s also helpful to have someone to hold you accountable for following through with treatment. It only works if you actually do it, after all. Far too often, people will avoid discussing issues they are having because they’re embarrassed. This allows small issues that could be treated quite easily to balloon up into a far more serious issue. Bladder issues, erectile dysfunction, domestic violence, and mental illness symptoms can feel incredibly personal, but your doctor is only there to help you, not judge you. And as we said before, they can’t help you if they don’t know about it. These issues are not awkward, but they absolutely need to be treated as seriously as heart issues. Sad as it is to say, it won’t get better on its own, especially by totally ignoring it. Here at Chicagoland Complete Healthcare, we want to do everything we can to help you live your best life. Please call us today to schedule an exam to begin your path to great health!